within minutes of being notified by Police. It said: "We remain shocked and saddened by this tragedy and are committed to working with leaders in New Zealand, other governments, and across the technology industry to help counter hate speech and the threat of terrorism." However, the Association of New Zealand Advertisers, the industry body representing advertisers, and the Commercial Communications Council of New Zealand, representing advertising and media agencies, says a repeat of the broadcast of violent acts seen could happen at any time around the world. "We need to use our united global force as an industry to drive urgent actions," the two bodies say. "This is not about apportioning blame. That clearly lies with the terrorist who committed these heinous acts, but it is about the responsibility of social media, and by association the global advertising community, to ensure that social media platforms can no longer be used as a publishing mechanism for extremist propaganda or a live broadcaster of atrocities." The two bodies have spoken with New Zealand’s largest advertisers, and advertising and media agencies since the attack left 50 dead. Major advertisers earlier paused their spending with Facebook and local telcos penned a letter to the leaders of social media and digital platforms calling for content regulation in the wake of the Christchurch mosque attack on March 15. "We are collectively calling on our global networks to petition Facebook to make immediate changes to the security of its live streaming platform or, alternatively, suspend its use altogether until it can ensure the spread of such harmful content can never happen again," they say. "We are collectively calling on our global networks to petition Facebook to make immediate changes to the security of its live streaming platform or, alternatively, suspend its use altogether until it can ensure the spread of such harmful content can never happen again." The advertising industry says the "silence" from Facebook on its live streaming capabilities means the issue needs to be escalated. "Consider suspending advertising on Facebook until its live streaming functionality is either taken down or sufficient controls are put in place," they say ina call to the industry globally. "Put this topic on the agenda at an Executive level within your organisation, and petition Facebook for change. "As agency and client communities in your own countries, work together and with your own industry associations and government regulators to apply pressure to bring about change. "We expect this event must be deeply disturbing for Facebook’s board and senior management, that the use of a platform they created to connect the world could be corrupted in such a harmful and divisive way – and on a human level we would like to understand how they intend to respond?" The Association of New Zealand Advertisers will be presenting on this topic to the World Federation of Advertisers at its global conference in Portugal this week. The advertising industry in New Zealand is calling for a global advertising boycott of Facebook until its live streaming functionality is either taken down or better controls are put in place. 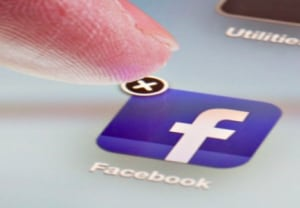 Advertising agencies and advertisers in New Zealand say Facebook has been dishing up "platitudes" over community concerns at live streaming following following the broadcast of acts of violence from Christchurch. Facebook says it removed the attacker’s video within minutes of being notified by Police. It said: "We remain shocked and saddened by this tragedy and are committed to working with leaders in New Zealand, other governments, and across the technology industry to help counter hate speech and the threat of terrorism."